The story behind this episode is a fun one, and if you caught me record and edit this live, then you know the story. For those who missed out, you can watch me record the Countdown live over at our Twitch.tv page. 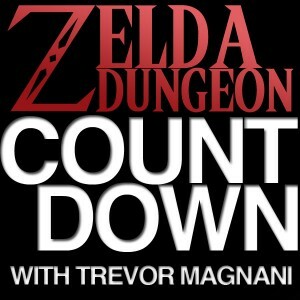 In addition to various gameplay from the Zelda Dungeon Staff, you can now catch live recording sessions and see what goes into making the Countdown. This time around I fire off ten things I want to see in the next console Zelda game, particularly extra content, polished controls, and plenty of development time. Next Countdown I’ll be going back to a gameplay related list. head on past the break to see the video and Leave a comment below with either something you want to see in the next console Zelda game, or what kind of list you want to see next time!